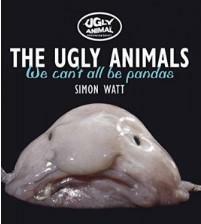 The ‘Ugly Animal Roadshow’ is being held at Ramsey Academy on Monday 22 February 2016. Mr Hendry (Science Faculty) has set aside the afternoon session for our Year 4 and Year 5 children. The session starts at 2.00 p.m. and lasts for 1 hour. Sing along with this version over the weekend Golden Eagles! Years 5 and 6 have been discussing The Lord's Prayer. We have been discussing the recent banning of The Lord's Prayer from cinemas and we have asked the children to discuss the issues raised with their families. Languages day 13/10/15. Take a look at what we have been up to..
Goal Scorers - Week beginning 4th October 2015. Welcome to the Golden Eagle's class page!